Epson has been making LCD-based home theater projectors for over five years now. The line started with the industry's first 1280x720 resolution model, the TW100, which was released in the summer of 2002. That unit has been followed by a line of newer, better, and cheaper projectors that have appeared periodically ever since. Epson not only makes projectors, but they also manufacture the LCD panels that go into them. That puts Epson in a unique competitive position in the marketplace, since other vendors like Panasonic, Mitsubishi, and Sanyo all use Epson LCD panels in their products as well. Epson home theater projectors have traditionally been good and dependable, but never quite leading edge in terms of price/performance. I've always had the feeling that they were holding back a bit in the design and marketing of their own home theater projectors, perhaps so as not to undermine the wider distribution of LCD panels to their corporate clientele. 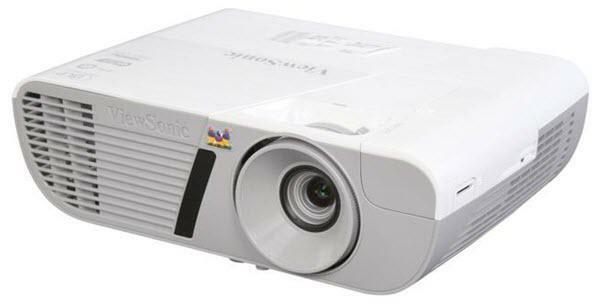 If that was indeed Epson's thinking, that strategy appears to have changed with the recent release of the Pro Cinema 1080 UB, the Home Cinema 1080 UB, and the entry level Powerlite Home Cinema 720. These three units are without question the most formidable competitors ever released by Epson in the home theater projector market, and they are right there on the leading edge of price/performance. •	The Pro version is black, and the Home version is white. •	The Pro comes with a ceiling mount and spare lamp, whereas the Home does not. •	The Pro has a 3-year warranty, and the Home is 2 years. •	The Pro model features an Imaging Science Foundation (ISF) certification. •	The Pro model is sold by resellers who are trained to install, calibrate, and support the unit. The Home model is sold by resellers who typically do not offer this level of support.